Are you books getting out of control? Has your business grown to a point that you can no longer handle the bookkeeping in-house. Or just need a little help with GST at the end of every quarter. We are your Gold Coast Bookkeeping Professional who can design a package suited to your needs. Here at Astute Administration Services, we’re your Gold Coast specialist in all things bookkeeping. Our dedicated team have over 9 years experience in delivering professional bookkeeping services to all types of businesses on the Gold Coast. We use all cloud based software programs but are particular fond of Xero and Quickbooks online. Astute Administration Services understand that not everyone needs a full-time bookkeeping and that not all businesses are bit enough to warrant an in-house payroll officer. We have the ability to offer affordable offsite payroll processing on a weekly, fortnightly or monthly basis. 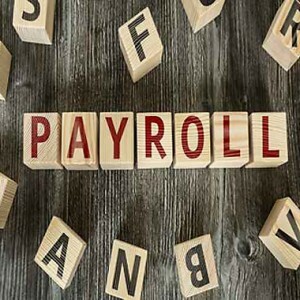 We can help implement processes and procedures to ensure your payroll runs smoothly and that your staff are always paid on time. We offer a range of bookkeeping services from regular processing ranging from a few hours per month up to 2 days per week, including Bookkeeping Gold Coast, Business Reporting, Onsite Bookkeeping Gold Coast, Payroll Processing, Catch-up Bookkeeping, Start-up Business Bookkeeping.